‘Shubh Mangal Saavdhan’ has emerged a success at the box office, making it two consecutive winners for Ayushmann Khurrana and Bhumi Pednekar in two months. The film has found acceptance with the city audience as footfalls at most major centres was higher than Friday. A positive trend on Monday should help take the first week business to around 23 crore. There doesn’t seem to be any major competition at multiplexes this coming weekend, which should mean a film like ‘Shubh Mangal Saavdhan’ will continue to perform and grow in the second weekend. A 30 crore plus total looks like a certainty at this point, which would put it in the same range as ‘Dum Laga Ke Haisha’ and ‘Bareilly Ki Barfi’. By the end of it run, ‘Shubh Mangal Saavdhan’ could become the second highest grossing Ayushmann Khurrana film after ‘Vicky Donor’. 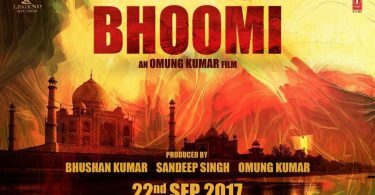 The film is also a success for ‘Bhumi Pednekar’ after ‘Toilet: Ek Prem Katha’ last month. ‘Shubh Mangal Saavdhan’ is yet another success for Aanand L Rai as producer, after ‘Happy Bhaag Jayegi’ last year. Kya Baat Hai Indicine Back to Back articles….Dil Kush Kar Diya….. I like Ayushmann’s comic timing….. I watched SMS on Saturday . It is an impressive movie with amazing performances . The climax is pretty unconvincing but everything else is superb . Ayushmann is just getting better with each film . He is playing unconventional characters and slowly people have started loving him in such movies . Bhumi is making a strong impact with each film . I still feel DLKH is her best performance but she is amazing . She is playing girl next door characters which audience can relate to . The supporting cast and crew have done a terrific job . The dialogues are funny and entertaining . It takes guts to make a movie on this subject and also in such an entertaining way without any vulgarity . RS Prasanna you deserve all the success and appreciation for a great product . Anand Rai has a Midas touch as he is investing his money in such kind of movies which are small but with a big heart . Tanu Weds Manu, Raanjhanaa, Tanu Weds Manu Returns, Nil Battey Sannatta, Happy Bhaag Jayegi and now Shubh Mangal Saavdhaan . I hope the success story continues with Newton . Bhumi Pednekar is a terrific actress. Very happy for her. It’s a bigger HIT thn Bareli ki barfi…good amount of money was spend on BKB promotion , but SMS promotions Zero! On other hand ajay legend continuing manipulation of around 1.60 that too on monday! He Already made a day vise collection chart to make badshaho reach 100cr jst like he did with shivay! Ayushmann is actually very talented. he is way better than the likes of arjun kapoor, sushant singh rajput and varun dhawan. Meanwhile Vimal has already manipulated 8 cr for Baadshaho. Now I damn sure Baadshaho will cross 100 cr. I THINK ITS A REAL LIFE STORY OF SALMAN KHAN AND WHY HE IS NOT MARRYING..
AND ALSO FOUND THE REASON WHY EVERY ACTRESS BREAKS UP WITH HIM..
Is Ayushman the new gen Amol Palekar?? My fav among Young Gen Aushmann…Great Actor with likable screen presence without any fuss..Keep It Up Man…do such unconventional Movies more…It suits You! !Congratzzz for back to back Hits!! Ayushman has never got any big film. He is more talented than Siddharth Malhotra and Arjun Kapoor.